At The Dance Department, our mission is to share the joy of the art of dance, while helping students develop self confidence, self discipline, concentration, respect for themselves and others, all in a fun yet structured learning environment. The Dance Department offers professional instruction in tap, jazz, hip-hop, ballet, lyrical, modern, creative movement, & social dancing. Classes run September to June with our annual recital held in June. Classes available for all ability levels, ages 3 through adult. Whether beginner, intermediate, or advanced, all students receive individual attention from a qualified instructor. 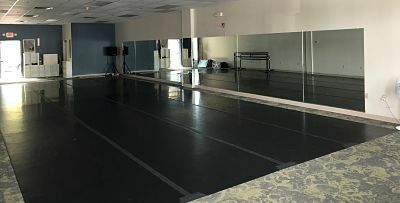 Conveniently located in Clifton Park at Plaza 8, exit 8 off Interstate 87, The Dance Department is a short drive from anywhere in the Capital District, and just minutes from anywhere in Clifton Park! Browse our web site, and feel free to come by to visit the studio! Contact us for schedules and registration forms. We look forward to seeing you in class!